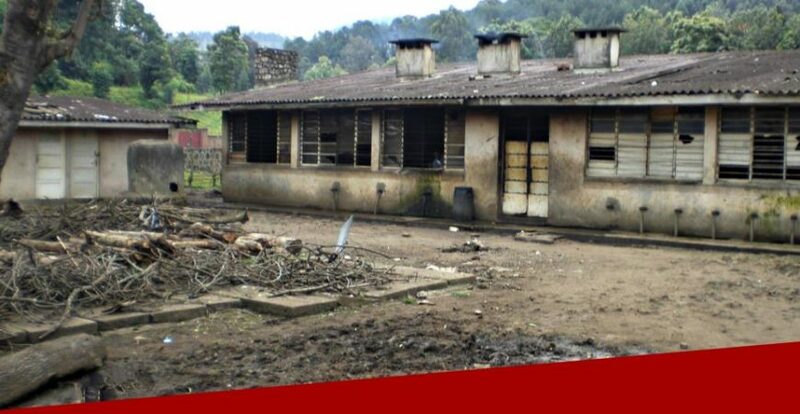 This was the largest child institution in Rwanda, its numbers swelling dramatically as a result of civil war and the appalling 100 day genocide in 1994 when 1 million were massacred and 800,000 children left orphaned. In 2007 the Noel’s funding support was drastically low. 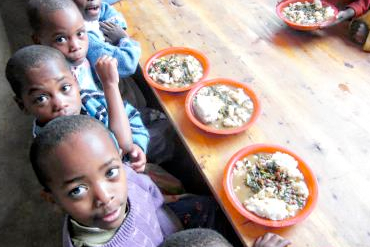 700 children aged from birth to adulthood were living in wretched conditions and seriously undernourished. Horrified by what he saw, the PF Chairman pledged immediate support & the Foundation began a massive funding drive to help the children. 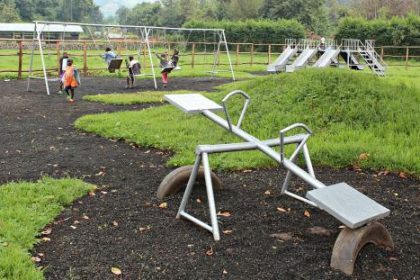 In 2012, the Government of Rwanda’s policy to shut down all its state orphanages and restore children back to traced relatives or foster families was initiated. By December 2014 the Noel had closed. 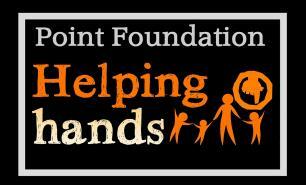 However, PF funds still continue to assist many of those orphans who now live in the local communities. 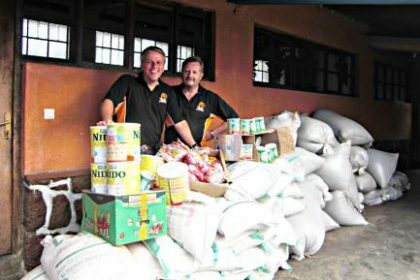 By 2008 PF was funding regular food supplies which continued until the Noel’s closure. Donations of land, seeds, mushroom growing materials, tools and livestock helped assist self-sufficiency. 2009: £100,000 of necessary refurbishing & building work began on some of the kitchens, refectories, nursery wing & dormitories restoring them to a better standard. 2010: renovating & plumbing of toilet and shower blocks began. Sewage tanks were rebuilt & a rain water tank added. 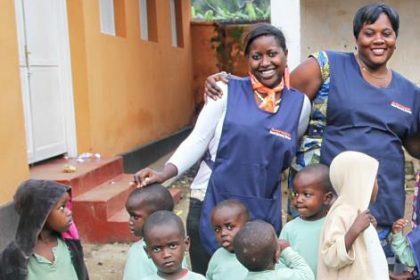 Funds supplied pharmaceuticals, sponsorships for nurses to further skills & partnerships with health organisations helped with medical care. Over the years hundreds of clothes and shoes were given. Reusable nappies were donated by companies & individuals and funding used for baby care training and janitorial supplies to improve hygiene. 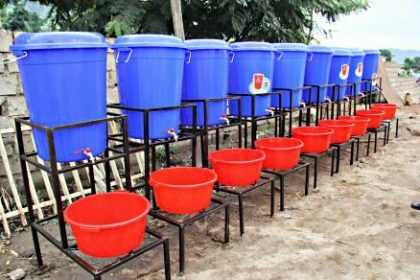 More cots were built and 10 freestanding hand wash stations were installed. 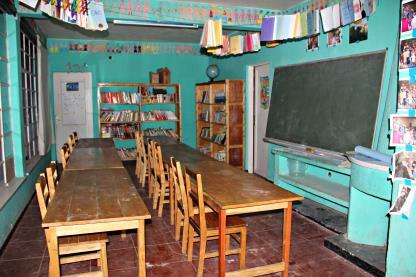 2010: PF refurbished a derelict room as a library & teaching room. Computers were donated, hundreds of books and a film screen. By 2011 two adjacent rooms were restored & used as early learning play areas. 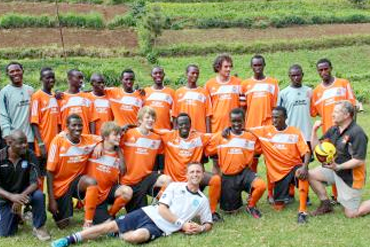 Football kits, coaching sessions & equipment provided access to more sports for the children. In 2011 PF project managed the build of a concrete basketball pitch, funded by His Chase.org. 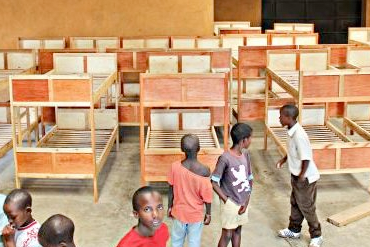 2012: Funding of 80 bunk beds eased cramped dormitories, along with new storage lockers. More dining tables and chairs were also built. PF began paying some school fees in 2010 and funded a number of university sponsorships, trade skill schemes, mentoring and vocational training courses for the older youth. 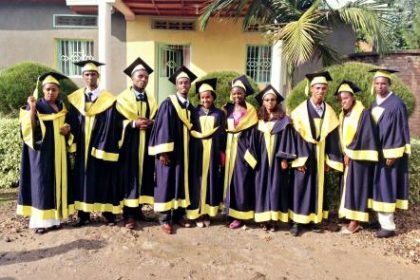 2012-2013: PF rapidly expanded the university sponsorship scheme, to assist the large number of students desperately needing their fees paid. 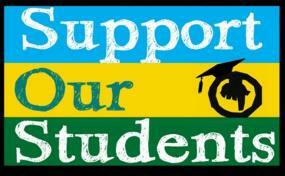 By 2017, 110 university & college students had graduated successfully. 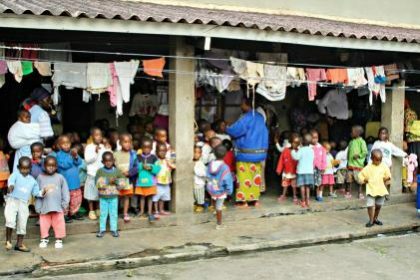 2013: PF’s Noel Nursery School for 3-6 year olds was set up in three disused rooms. 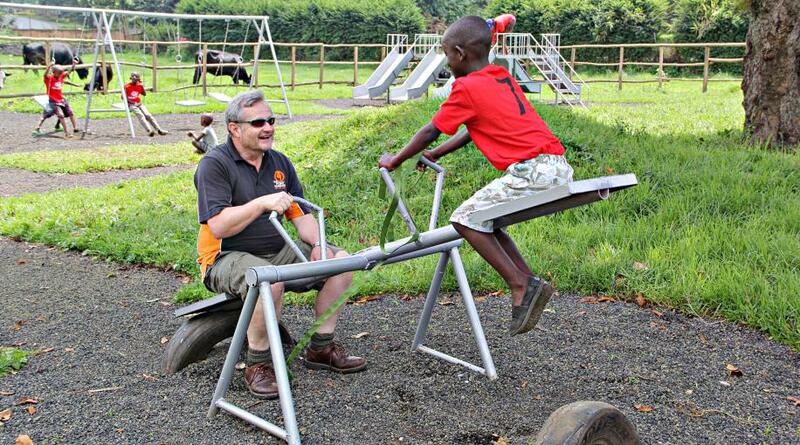 3 teachers’ wages, stationery, toys & uniforms were funded and a playground built with donated equipment. When the Noel closed in Dec 2014 so did the school. 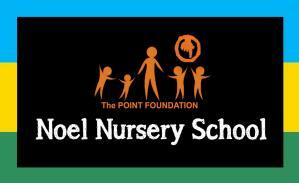 Today, PF continue to supports one of their former nursery teachers who runs her own school. 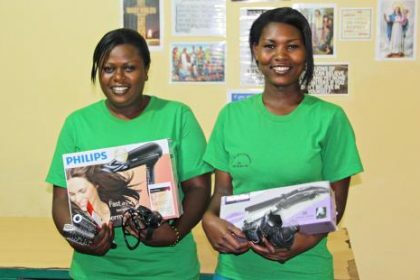 Funding has sponsored a former Noel girl to ELD diploma standard & she now teaches at the House of Children School. 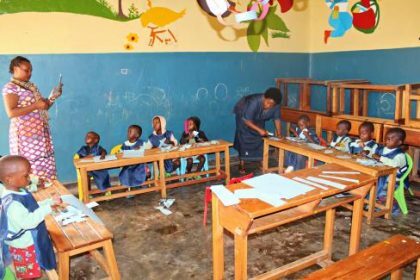 The orphanage buildings became a Nursery & Primary School in 2016 run by Nyundo Diocese with around 180 children, many once from the Noel. 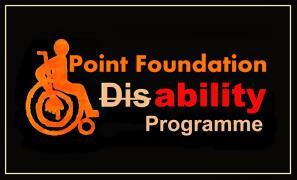 2013: PF’s Disability Programme began, radically improving the neglected welfare of 40 disabled children & youth. Funding supported staff wages, medical needs & hygiene and paid for physio & daily activities at a local rehab centre plus transport to get there. Closure of the Noel left 24 of the most severely disabled with nowhere to go. 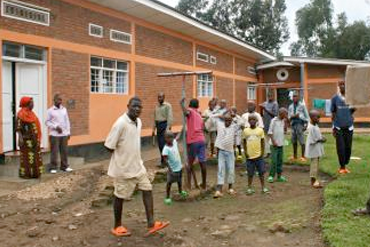 PF funds came to the rescue, setting up a Community Based Living programme in Gisenyi. Early 2015 the Foundation were funding 4 rented houses, food, health care & training and wages for 13 full time carers – giving the Pwds 24 hour assistance and a family based lifestyle for the first time in their lives. In the summer of 2016 PF’s former CEO Sharon established the Gallagher Trust and took the helm to fund and sustain the programme. 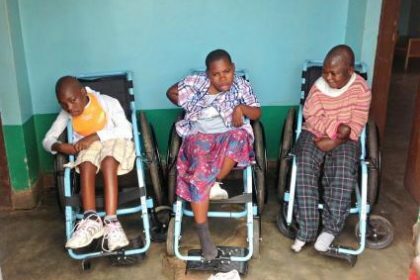 PF funds continue to pay for 1 house with 7 Pwds and 4 carers.